Fire is a major concern for thatched home owners. We can give full advice on fire protection to help minise the risk. The vast majority of thatch fires are chimney based, especially common with those in which log burners are used. Debris build up is a key part in thatch fire. 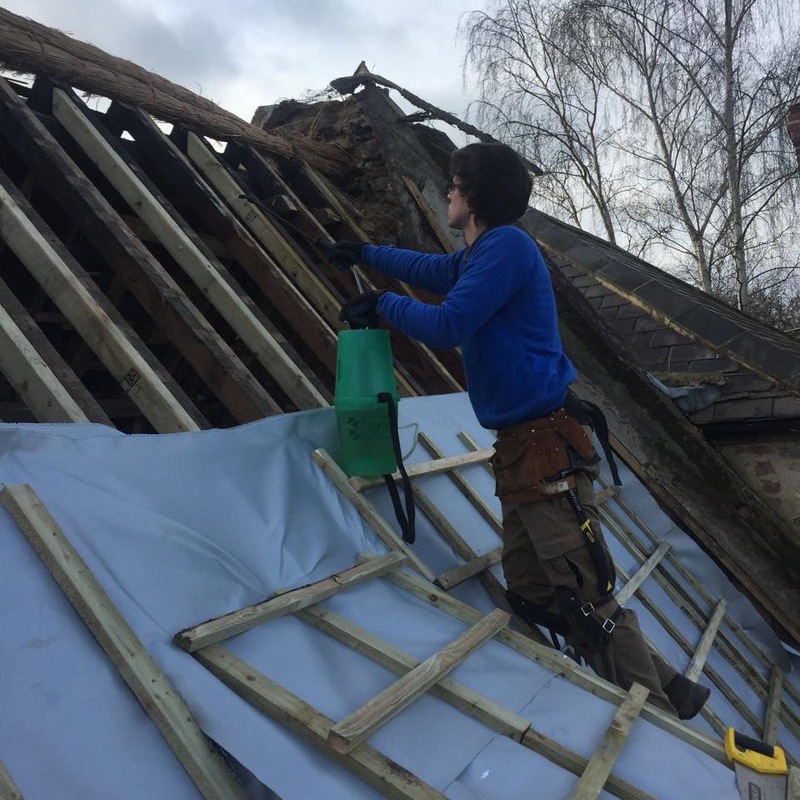 By having your chimney swept in the summer months, prior to the burning season, then again in February, removing any tar build up as well as the start of jackdaw nests. A wood burner is not an incinerator! Soft woods such as conifer and tantalised builders wood produce a large amount of sap and tar, soon building up in the chimney. Dry, hard woods burn for longer and produce far more heat. There shouldn’t be a large amount of flames if the burner is operating correctly. Bird guards will stop jackdaws etc dropping twigs etc down the chimney trying to form nests. These nests provide kindling for sparks which pose a real danger. A good quality chimney sweep will carry out an inspection of your chimney, checking it’s structural integrity. Often the bricks/stone in the chimney are the originals and centuries of burning can “blow” the bricks, causing a hole between the chimney and the thatch. Fire board is fitted directly to the rafters and is used in new builds and extensions to help comply to the Dorset Model, which is the regulations for fire protection on new builds. The boards are suitable for roofs with sawn timber rafters or trusses, with a straight roof line. 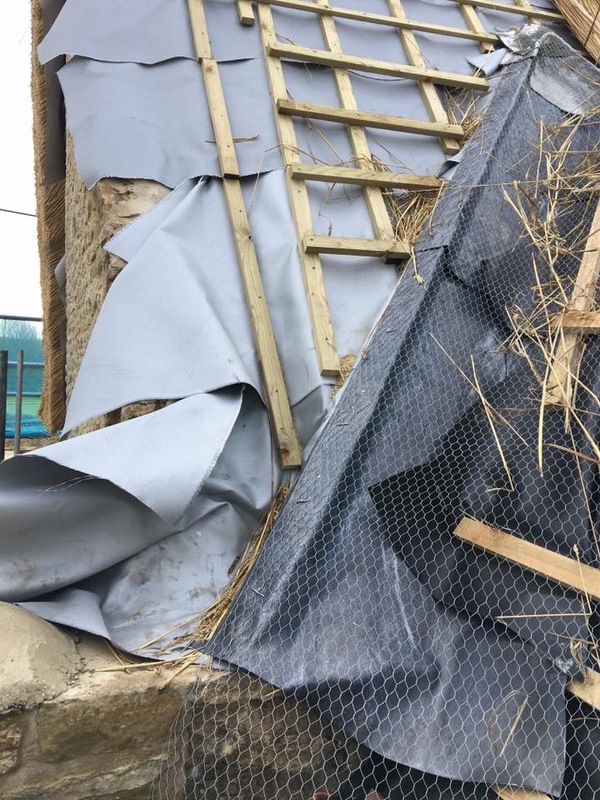 This membrane is fire resistant and is the most common form of fire barrier used for old thatched properties. The membrane is felt like and is rolled between rafters. With this degree of flexibility, able to undulate withhold rafters and is more adaptable than fire boards. This electronic system is applied to the chimney within the loft space. If the exterior chimney temperature of the chimney reaches a certain temperature, the alarm sounds, alerting the homeowner and allowing to extinguish the fire, preventing heat transfer occurring. For any questions regarding fire prevention, please do not hesitate to contact us.